Berghahn Books - Promoting ‘self-reliance’ for refugees: what does it really mean? The following is a post by Naohiko Omata, author of The Myth of Self-Reliance: Economic Lives Inside a Liberian Refugee Camp. Promotion of ‘self-reliance’ for refugees has occupied a central seat in the policy arena of the international refugee regime in recent years. The United Nations High Commissioner for Refugees (UNHCR) broadly defines self-reliance as ‘the social and economic ability of an individual, a household or a community to meet essential needs in a sustainable manner’. Its guiding philosophy can be summarised as: refugees have the skills, capacity and agency to stand on their own and be able to sustain themselves without depending on external humanitarian aid. This concept has been universally embraced by policy-makers and aid agencies and has now become an increasingly visible part in refugee assistance and protection programmes worldwide. But on the ground, what does it really mean for refugees to attain self-reliance? While many policies have rhetorically committed to the importance of ‘helping refugees help themselves’, some fundamental questions remain unanswered. First, do refugees have enabling conditions to achieve self-reliance? Currently, many refugees in the Global South are unable to fully exercise their right to work and to move freely due to regulations by their host governments. These impediments can severely constrain refugees’ capacity to construct meaningful livelihoods and limit their access to commercial markets. Under these restrictions, is it sensible to assume that refugees can attain self-reliance regardless of how industrious and ingenious they are? Next, how do we determine whether refugees have achieved self-reliance? Despite its extensive promotion, there are to date no universally agreed systematic and rigorous criteria for measuring refugees’ self-reliance. Instead of using objective benchmarks, UNHCR often perceives refugees as self-reliant when they live without external assistance. Is the situation in which refugees living without aid a plausible indicator of ‘meeting their basic needs in a sustainable manner’, as defined by UNHCR? Most importantly, for whom is refugees’ self-reliance being promoted? In theory, nurturing refugees’ self-reliance should entail a strategic shift from traditional relief aid to development-oriented support and the provision of enabling conditions for refugees to establish gainful livelihoods. Yet this is not happening in the field. Meanwhile, UNHCR and donor states usually start decreasing assistance for refugees while promoting refugees’ self-reliance. Is refugees’ self-reliance meant to empower refugees’ economic capacities or to justify cutting down aid for refugee populations? My authored book, The Myth of Self-Reliance, has explored these important but unsolved questions through a study of Buduburam refugee camp in Ghana. This Liberian refugee camp has been commended by UNHCR as an exemplary ‘self-reliant’ model in which refugees were sustaining themselves through robust businesses with little donor support. The UN refugee agency even boasted that the organization had facilitated their economic success by gradually withdrawing its assistance over the period of exile. The book challenges the reputation of Buduburam refugee camp as a successful model for self-reliance and sheds light on considerable economic inequality between refugee households. Both qualitative and quantitative data reveal that a key livelihood resource for refugees in Buduburam was not their commercial activities but their access to overseas remittances, which had nothing to do with UNHCR’s initiatives to foster refugees’ self-reliance by withdrawing aid. While refugees who were receiving remittances were able to satisfy their basic day-to-day needs, those who had no connections to the diaspora were deeply impoverished. There is increasing support for the idea that refugees are active and capable players with ingenuity and resilience. I agree wholeheartedly with this view in principle. However, it is irresponsible to assume that this can entirely replace the need for humanitarian aid and protection, in the absence of an enabling environment and adequate resources. Over-emphasis on the resilience, agency and capacity of refugees can obscure internal differentiations in their economic capacities, and universal celebration of refugees’ self-reliance can even undermine refugee protection and welfare. While we should certainly acknowledge and respect refugees’ capabilities and resourcefulness in the face of adversity, we should not dump all responsibilities on the shoulders of refugees alone. Given the daunting scale of refugees globally, it is undeniable that we need to pioneer new ways to support and enable their socio-economic independence in the long-term. However, making refugee self-reliance a reality necessitates a strong commitment and investment from not only refugee but host governments, the donor community, development agencies, UNHCR, and other relief organizations. 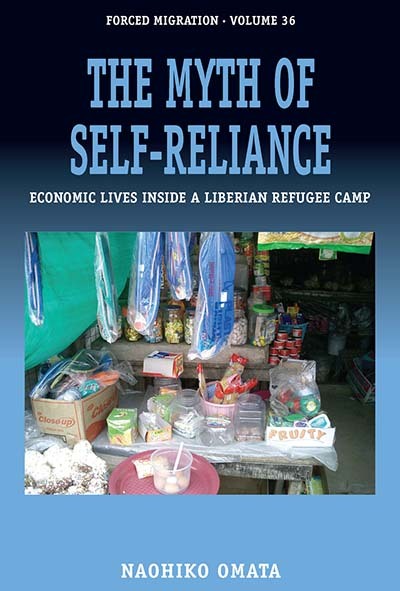 Learn more about The Myth of Self-Reliance: Economic Lives Inside a Liberian Refugee Camp here and read the Introduction for free online.